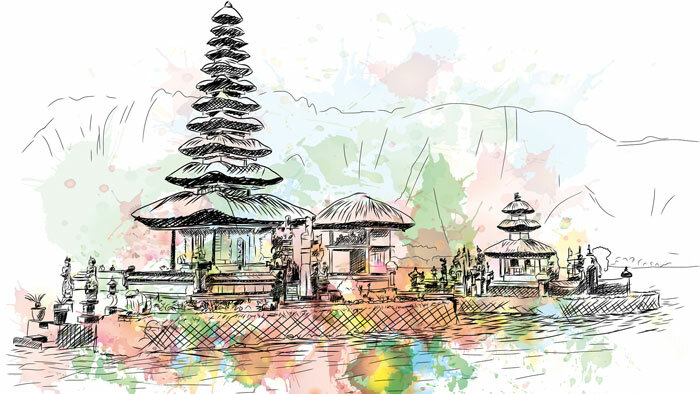 Symbolism is everywhere, as befitting a culture that is based on myth, legend and ancient values, entwining the best of Bali’s indigenous beliefs with Hinduism and Buddhism. During the ten days small boys parade the streets with their barongs, performing dances and collecting money for their banjars and adding a cute dimension to the busy streets. 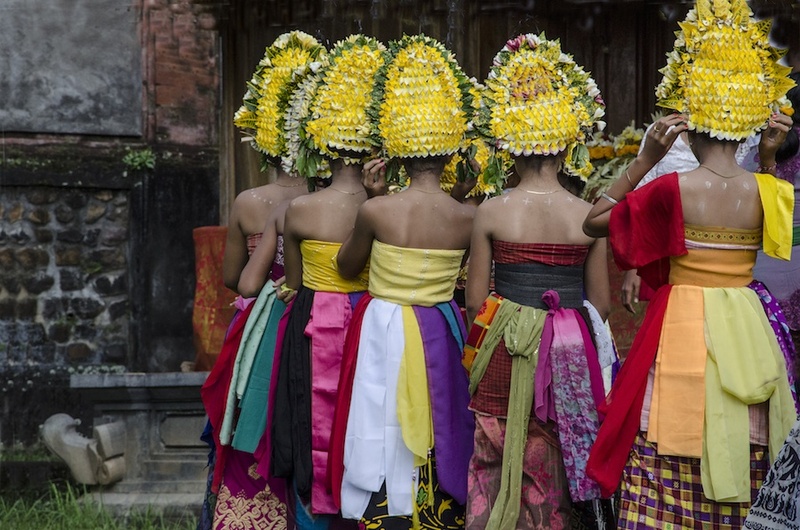 Offerings and processions are everywhere and the streets are filled with traditionally dressed folk paying obeisance – it is the best time to be in Bali. 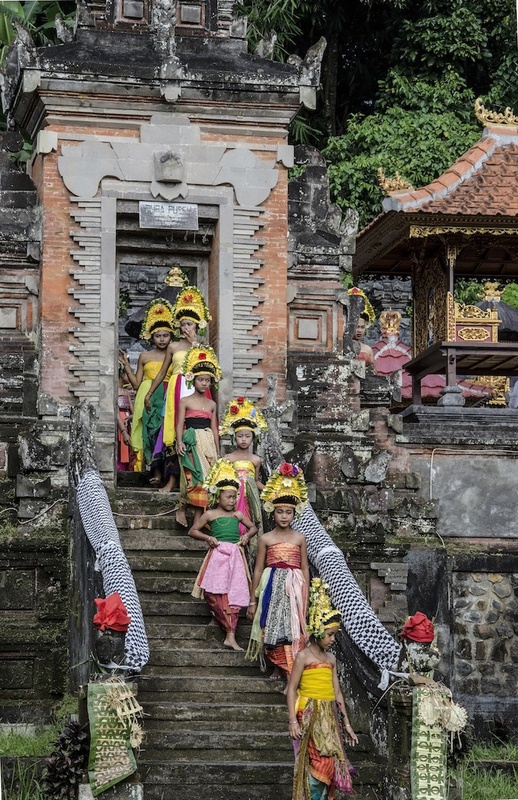 On the 10th day comes Kuningan – the end of the ceremonies and the time for the gods to return. 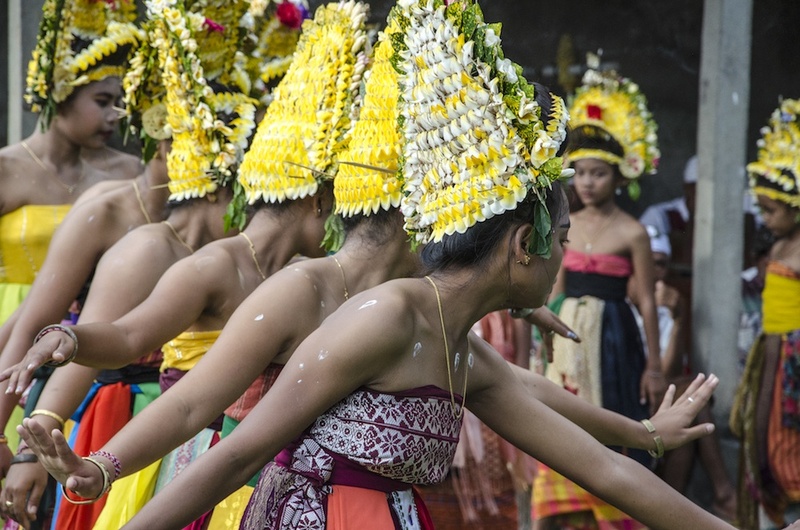 And it is at this time, that the remote villages of Karangasem, hidden in the hills around the holy mountain of Lempuyang, just over the hills from Amed, celebrate in their own inimitable fashion. 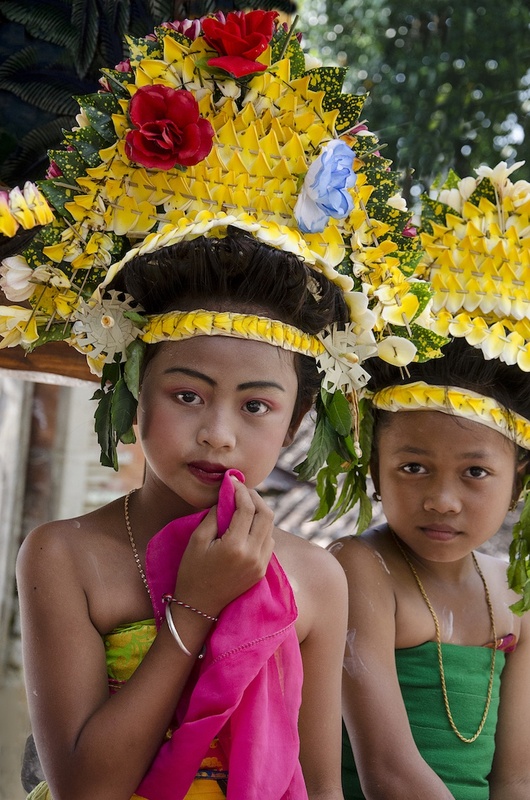 Each village has its own rituals, but perhaps the most intriguing event is the holy Rejang performed by the village virgins. 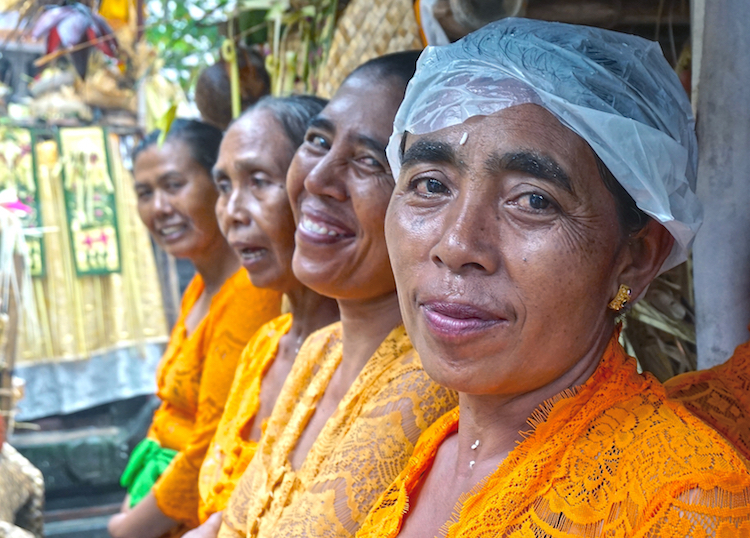 Each village has a strange and unique costume for the girls, consisting of special sarongs and tightly bound tops all tied with flowing scarves. But it is the headdresses that take the cake. From one village to the next, the headgear becomes more and more arcane. 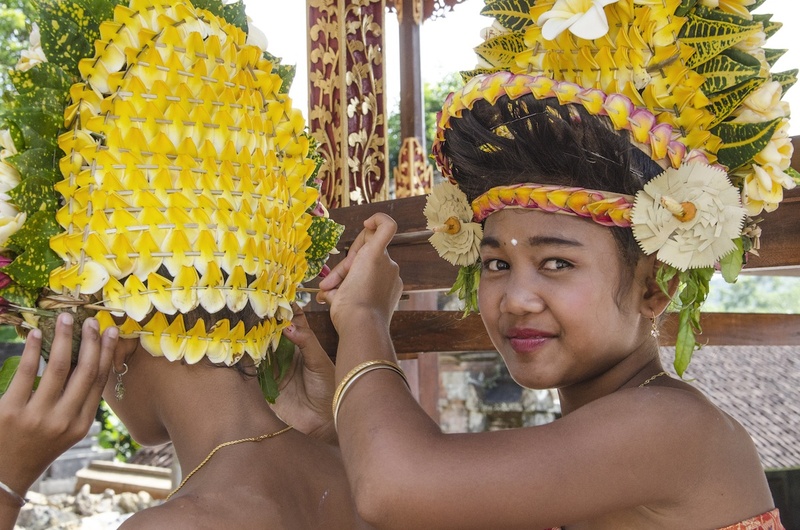 Some of the headdresses tower a foot or so higher than the tiny girls who wear them, struggling to balance these extraordinary edifices while they move about. Flowers are always involved. Sometimes many flowers, whose fragrances spreads across the temple grounds while they dance. Sometimes it is frangipanis, other times it is a mix of fragrant blooms woven together with their long hair or just placed on top. 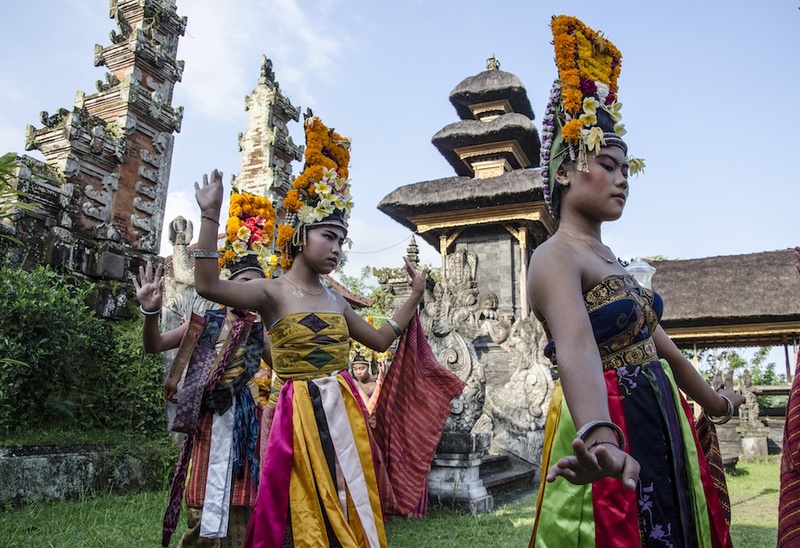 It is always one of the most extraordinary sights in the Balinese pantheon of the extraordinary! 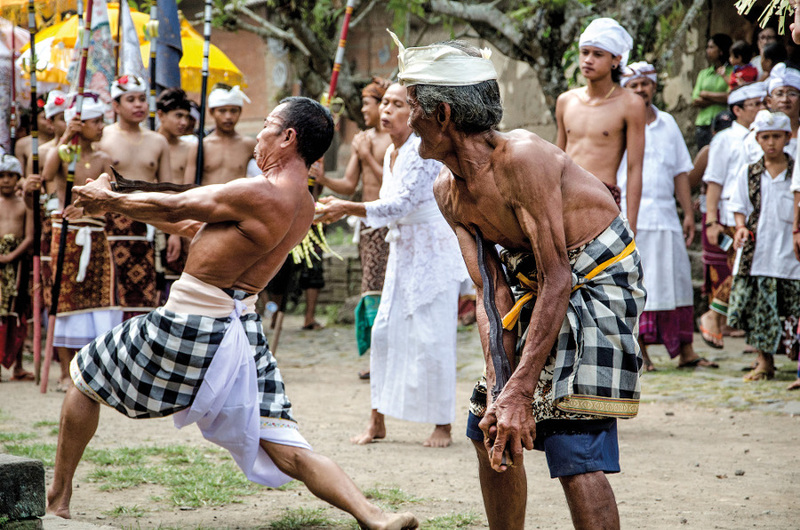 The Rejang dance itself is slow and stately, performed with varying degrees of competence, but never mind that, it is always worth watching. 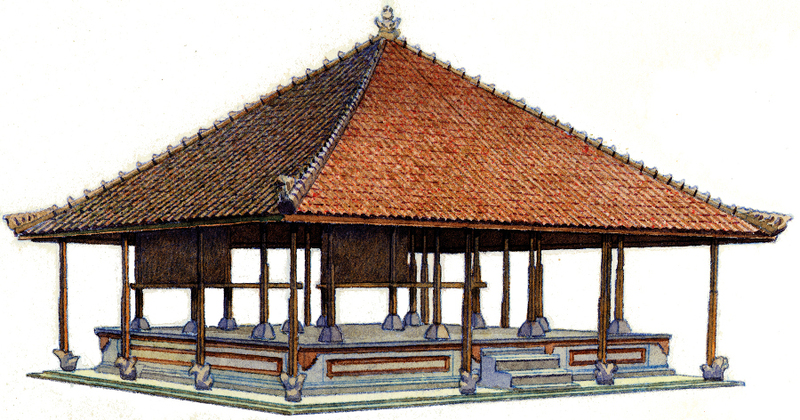 Above all, these isolated ceremonies represent what I call Secret Bali , the life that exists behind the ‘tourist façade’. Strangely, not many tourists are present on these days, probably because getting the information and the timings for each village is quite a challenge. But rest assured, there is always a gaggle of well-informed photographers in attendance, with their schedules firmly in place, so that they can slip away to the next village performance. But rest assured, if you do manage to come across one of these performances, you will be transported to another world – of spirits and celestial beings.